Over the years there have been many movies focusing on World War 2 in particular. Some have been simply ordinary, but some have truly left us speechless. However, the continuing trend shows that the focus has been on the story of one hero or a regiment. Now we can see how Fury is different. Here's a hint, It can withstand enormous punishment, and is able to annihilate countless foes. Fury focuses on a WW2 tank named Fury which more than held its own against German tanks despite being just a medium-seized tank. In addition, Brad Pitt's charisma made the entire movie even more incredible to watch as each scene was amplified even more. The Hollywood superstar gave an outstanding performance and was supported ably by the likes of Shia LaBeouf, Jon Bernthal and Michael Pena. The cinematography and special effects were fantastic making it a must-watch 3-D experience. Some of the action sequences were truly mind-boggling giving it a real WW2 feel. Apart from some dragging sequences, Fury keeps the audience enthralled till the end and has enough action to keep your mouth open for over an hour. 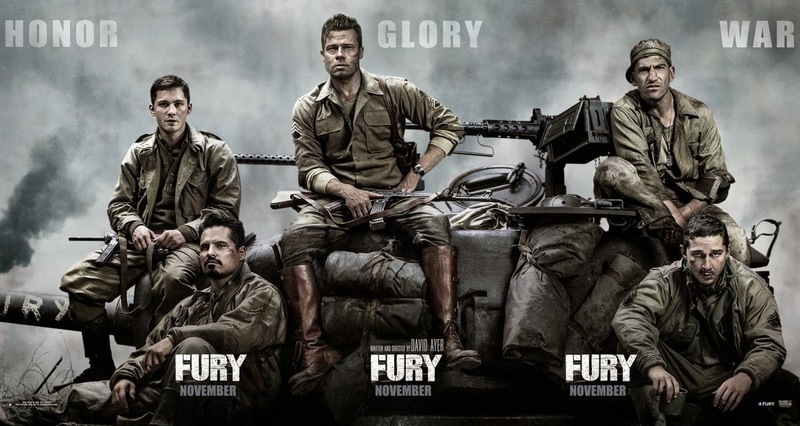 Hence, its definitely 2 thumbs up for Fury!